Smoke Signals Studio is A community based artistic space in Little Haiti, Miami. Smoke Signals Studio is a radical community based artistic space in the home of artist Aja Monet and organizer/artist phillip agnew. It was established in February 2016 as a true union of the arts of sound and community organizing. Our home studio was entirely funded by our community, raising over $14,000 online in three months for recording equipment. We believe that artists are the “gatekeepers to Truth” and that our movement for liberation must embrace music and the arts as essential tools for healing, expressing, imagining and transforming the pain and triumphs of our lives. The studio space has a dual purpose: to be the change we want to see and to tell the stories of those fighting for and creating a new world. Smoke Signals is a collective of musicians, visual artists, poets, and organizers invested in positivity, creativity, and community in Miami. Our work and vision has been featured locally in the Miami Herald, Miami New Times, Miami Times, and the New Tropic as well as nationally in Fader Magazine, and Vibe Magazine. We have cultivated a wide range of relationships with artists, organizers, youth organizations and foundations around the world, country and state. We bring a youthfulness, skill and vision to our partnerships and endeavors. 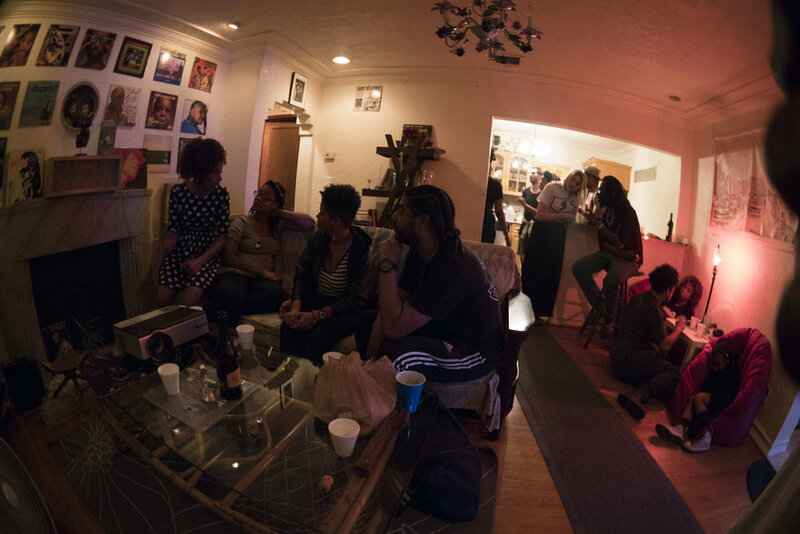 This is a space where individuals in our community invested in using sound and music as a meeting place for transformation and liberation can come to create together. This space survives with support from our community.